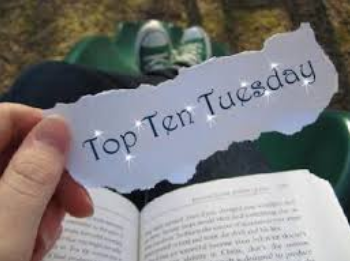 Down the TBR Hole: Trying to Get Rid of Books?!? I saw Stephanie @ Teacher of YA doing this, and I absolutely LOVED the idea. My Goodreads TBR has far surpassed 600 books and is rather quickly approaching 700. Yeesh! Although I’m sure I will not be as successful as Stephanie was (she managed to get rid of all of the ones she had picked out), as I’m a sentimental little mushroom (my mom would tell you otherwise- I’m brutal when it comes to cleaning house and deciding what to get rid of) and I just CAN’T SAY GOODBYE TO MY BABIES, OKAY. I NEED THEM ALL. ALL 700. NO, THAT IS NOT GREEDY AT ALL. Ahem. Let’s see, how do we do this? Decide: keep it or let it go? Twelve princesses suffer from a puzzling (if silly) curse, and anyone who ends it will win a reward. Reveka, a sharp-witted and irreverent apprentice herbalist, wants that reward. But her investigations lead to deeper mysteries and a daunting choice—will she break the curse at the peril of her own soul? This isn’t a hard decision for me. 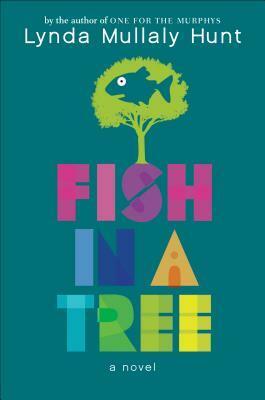 It’s a middle grade book that I wanted to read years ago. Although I love middle grade, it is often not as rich as books written for older audiences in order to ensure that they are comprehensible to everyone. I have no idea why I wanted to read this one so badly. This one can go! 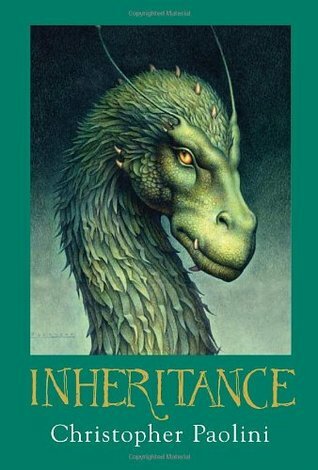 It began with Eragon… It ends with Inheritance. Not so very long ago, Eragon — Shadeslayer, Dragon Rider — was nothing more than a poor farm boy, and his dragon, Saphira, only a blue stone in the forest. Now the fate of an entire civilization rests on their shoulders. Long months of training and battle have brought victories and hope, but they have also brought heartbreaking loss. And still, the real battle lies ahead: they must confront Galbatorix. When they do, they will have to be strong enough to defeat him. And if they cannot, no one can. There will be no second chance. This is a really difficult decision for me. I read the first three a couple of years ago (I believe) and totally loved them. However, they are EXTREMELY long and take a while to get into. I’ve been putting this one off for ages because it is 850 pages. Now, of course, I’ve mostly forgotten the plots of the previous books, but I do believe there is a short summary at the beginning of the book, so I should be okay on that front. If it were any other book, I’d replace this one with the first one in the series, so that I could binge the whole thing, but I really don’t think that’s going to happen. Still, everyone who’s read it seems to really enjoy this book, and I hate to leave a series unfinished. I think I’ll keep this one! The book club is about to get a makeover…. 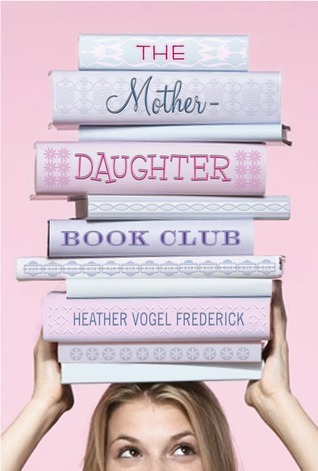 Even if Megan would rather be at the mall, Cassidy is late for hockey practice, Emma’s already read every book in existence, and Jess is missing her mother too much to care, the new book club is scheduled to meet every month. But what begins as a mom-imposed ritual of reading Little Women soon helps four unlikely friends navigate the drama of middle school. 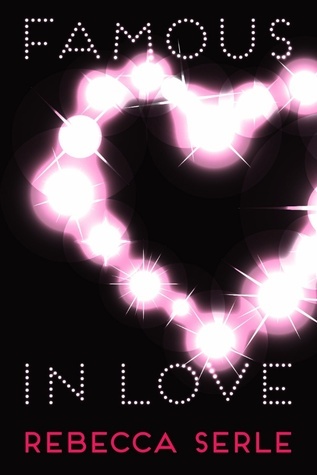 From stolen journals, to secret crushes, to a fashion-fiasco first dance, the girls are up to their Wellie boots in drama. They can’t help but wonder: What would Jo March do? This book looks super cute, and although I don’t know anyone who’s read it, I still definitely want to pick it up. The only reason I really haven’t read it yet is because my library doesn’t have it, and I’ve simply yet to pick up a copy. However, I did see something that said you should read Little Women first before you read this one, and since I haven’t read Little Women yet, I may just have to do that! This one’s a keeper. On Halloween below a haunted house, Cole Randolph wanted to have fun (and maybe get to know Jenna Hunt a little better). But he dives after friends whisked away to The Outskirts. The five kingdoms lie in between – wakefulness and dreaming, reality and imagination, life and death. Some people are born there. Some find their way there from other worlds. And once people are in the Outskirts, they find it very hard to leave. With the magic of the Outskirts starting to unravel, Cole and an unusual girl named Mira must rescue his friends, set things right in the Outskirts, and hopefully find his way back home…before his existence is forgotten. This book definitely sounds interesting. 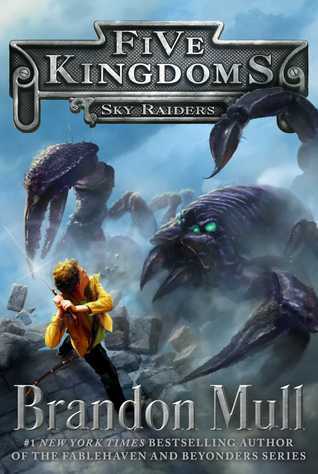 I loved the Fablehaven series when I was younger (which reminds me, I should totally reread those), but honestly, I just don’t think I’ll ever get around to reading this. 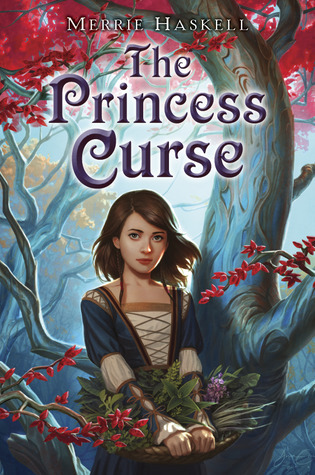 I don’t want to force myself to read it, and I just don’t feel like it’s really that special or different from all of the other middle grade fantasy books out there. This one can go! Callum Hunt’s summer break isn’t like other kids’. His closest companion is a Chaos-ridden wolf, Havoc. His father suspects him of being secretly evil. And, of course, most kids aren’t heading back to the magical world of the Magisterium in the fall. It’s not easy for Call . . . and it gets even harder after he checks out his basement and discovers that his dad might be trying to destroy both him and Havoc. Call escapes to the Magisterium — but things only intensify there. The Alkahest — a copper gauntlet capable of separating certain magicians from their magic — has been stolen. And in their search to discover the culprit, Call and his friends Aaron and Tamara awaken the attention of some very dangerous foes — and get closer to an even more dangerous truth. As the mysteries of the Magisterium deepen and widen, bestselling authors Holly Black and Cassandra Clare take readers on an extraordinary journey through one boy’s conflict — and a whole world’s fate. 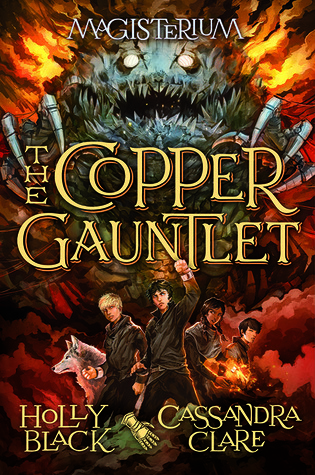 The Copper Gauntlet is the second book in the Magisterium series. I read The Iron Trial not too long after it first came out, and really enjoyed it. I think both Holly Black and Cassandra Clare are amazing authors, and I’d definitely like to continue on with this series. It appears as though the conclusion to the series is coming out next year, so I will most likely wait until it comes out and binge the whole series. This one I can keep! Dodge has never been afraid of Panic. His secret will fuel him, and get him all the way through the game, he’s sure of it. But what he doesn’t know is that he’s not the only one with a secret. Everyone has something to play for. I loved Before I Fall by Lauren Oliver as well as her Delirium trilogy (which I totally want to reread), but most people seem to consider this their least favorite Lauren Oliver book, or at least kind of meh. I like the plot idea, but it does sound a lot like Nerve (which I didn’t read, but watched the movie- sorry not sorry), so I’m okay with skipping this one. It can go! As long as I’ve known about it, I’ve always loved that quote from Einstein. It is so genius and yet so obvious that it just makes sense. I don’t know anyone who’s actually read this book, but I’ve been hearing about it a little bit recently. 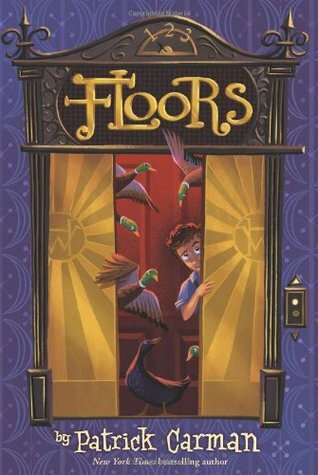 It seems like a heartwarming middle grade read, and for whatever reason, it reminds me of Counting by 7s, which I totally loved. I think this is a keeper! Twelve-year-old Grace and her mother have always been their own family, traveling from place to place like gypsies. But Grace wants to finally have a home all their own. Just when she thinks she’s found it her mother says it’s time to move again. Grace summons the courage to tell her mother how she really feels and will always regret that her last words to her were angry ones. 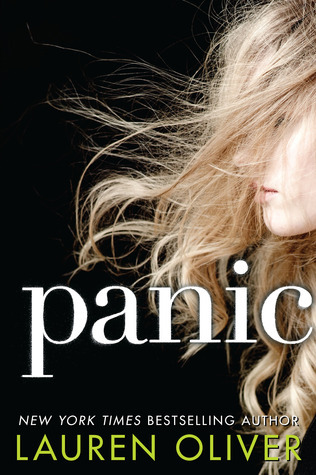 After her mother’s sudden death, Grace is forced to live with a grandmother she’s never met. She can’t imagine her mother would want her to stay with this stranger. Then Grace finds clues in a mysterious treasure hunt, just like the ones her mother used to send her on. Maybe it is her mother, showing her the way to her true home. 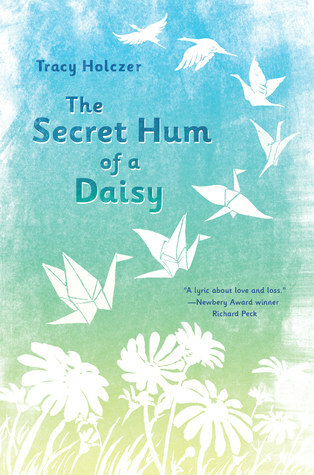 Lyrical, poignant and fresh, The Secret Hum of a Daisy is a beautifully told middle grade tale with a great deal of heart. This book sounds sad and heartbreaking and beautiful. Maybe it’s just my experience, but I don’t usually see this in middle grade books. Most people seem to have really enjoyed this one, so I think I’ll have to check it out! This one I’ll keep. The Whippet Hotel is a strange place full of strange and mysterious people. Each floor has its own quirks and secrets. Leo should know most of them – he is the maintenance man’s son, after all. But a whole lot more mystery gets thrown his way when a series of cryptic boxes are left for him . . . boxes that lead him to hidden floors, strange puzzles, and unexpected alliances. Leo had better be quick on his feet, because the fate of the building he loves is at stake . . . and so is Leo’s own future! This book actually sounds rather cute. However, it doesn’t sound like the MOST compelling story ever, and I don’t desperately need it in my life. It can go! I like this book’s synopsis. It sounds super interesting. However, I did pick it up from the library one time and gave the beginning a try, and it just didn’t really interest me that much. I’m not opposed to this book, but as of yet, I haven’t seen any reason (or review) that makes me desperately want to read it. It can go! ‹ PreviousGirl in the Blue Coat: Not so dusty after all? Thanks for joining! I hope it helps! I haven’t read any of these books… but I hope you love the ones you decided to keep! I think you rocked it!! Good job!! 50% gone!!! I’m so happy you tried it and now I’m hooked…I’ll be waiting for all your installments! I have faith in us to rock these TBRs!! Looove this idea AND you managed some clean up! Really, deciding to remove ANYTHING is impressive. Thank you! I really appreciate that. You should definitely try it! Oh my gosh. That would be so hard! I’m working on sorting my books. Once I get my room done and the new book cases up I’m sorting by genre then will do some purging. Eek! Great job on yours! Hahaha you totally should! I’d love to check it out! This is such a great idea. I know my Goodreads TBR is out of control and needs to be pared down. Isn’t it though? Hahaha you should definitely try it out!